Error! 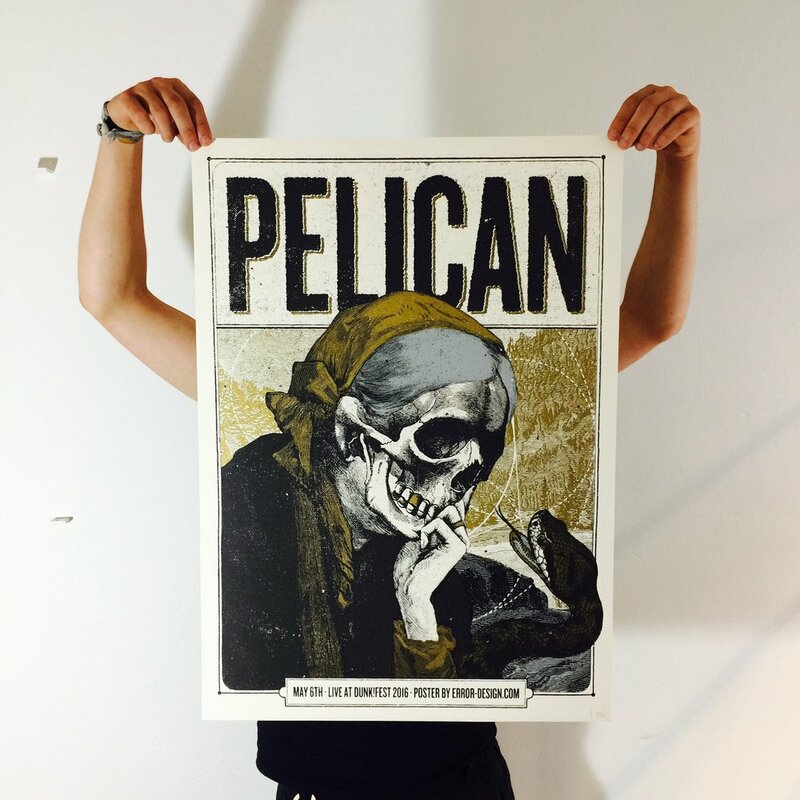 Design worked together with bands like Pelican, Emma Ruth Rundle, Russian Circles, This Will Destroy You, Mono, And So I Watch You From Afar and many more. 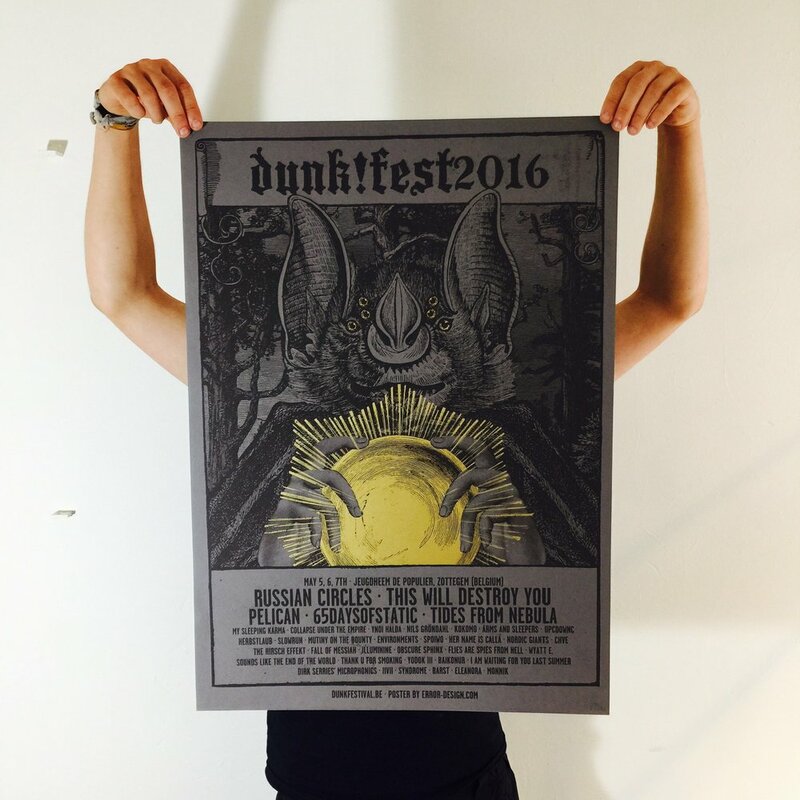 And most importantly he's designing the posters for dunk!festival in Europe and the USA. So of course we can't have a festival set up without Error! Design. What were you thinking!? Plenty of his beautiful designs will be available at Dunk!USA 2017.